This is another stop on a new slate of reviews I'll be posting on Nikki-Michelle's Spot. Before I ever had dreams of becoming a writer, I was a reader. That hasn't changed. I love to read. A good book can always take me away like Calgon. Next up, Black President 2: The World Will Never Be the Same by BHE. I should note that this book is on Kindle Unlimited. As a reader, I'm a fan of Kindle Unlimited. If you're a reader looking to test a new author, KU is a good investment, especially in this market of....eh, that's a story for a different day. Back to Black President 2. I am shaking my darn head after this one! So Black President 2 picks up right where part one left off and let me just say, President Stephen Jefferson needs his behind handed to him. But let me not jump ahead of myself. 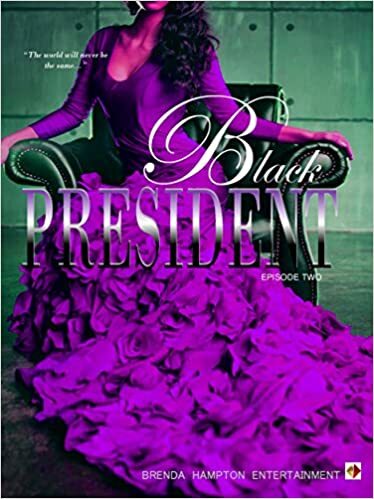 Book two opens up with First Lady Raynetta Jefferson in her feelings about the President's trip to Africa. She knows very well what her husband has been up to and she in not in the least bit thrilled. She even marched into Chanel's, you know the skanky reporter from the first book, office and told her a thing or two about herself. But when I tell you, I didn't expect the First Lady to go full-blown girls from the hood on that man while he was in the Oval Office, I ain't lying! But wait, that's not the kicker, honey! The President did not disappoint. President Stephen Jefferson has to be the most hood of Presidents that I've ever met. He and the First Lady showed their natural hood behinds and I was stunned to complete silence. I couldn't believe what I seeing nor reading. What kind of folly is this? I thought. Fast forward, the President tells the First Lady he knows she's lying about the story she concocted about not being able to have kids. That calmed the First Lady right on down and sent her running like a scalded cat right out the room. We know from the first book that President Jefferson has a bit of a lust problem. Well in this book, that problem still remains, but I'm so disappointed in our President. I have to ask, with a shooting on a military base, two Black people gunned down by the police, the incident with Speaker Robinson, and your mother going full-blown alcoholic, why would the President choose to go on a rendezvous in the park? Why, President Jefferson, even after you had just admitted to the American people that you had defiled your marriage bed? Never mind the apology he gave to the First Lady was sub-par at best, lackadaisical at worst. I have never not liked a man the way I didn't like President Jefferson in that moment. I mean, he did absolutely nothing but give orders. He was not in the least bit presidential. All the tragedies happening around him and all he did was go to the park? President Stephen Jefferson is arrogant and careless. He's is not a man I'd want leading my country and I'm not a Republican. We, the American people, can't afford to have a man in office who's so careless, especially not a Black man! Did President Jefferson not learn anything from President Obama? Apparently not. And I know if President Jefferson could read this, he would probably try to come back with some long winded think piece about this, that, and the third because it's what he does and he's an arrogant careless man. Now I'm not saying President Obama may or may not have done some things behind closed doors, but the point is, we didn't hear about it! First Lady Raynetta isn't off the hook either. Her excuse as to why she told that bold face lie was poppycock. She's an overgrown arse woman acting like a complete fool! I wanted to yell, "Your man is running a country, woman! He doesn't have time for you to be barging into meetings acting like ya'll still live on the mean streets of St. Louis!" But that still doesn't excuse the President's actions. I must ask, does he not realize what kind of power he has as a Black man in the White House running the free world? And all he can do is bark out orders and go to the park? Mind you, he's gone to the park twice now. After that ending though, I sure as heck hope the President had an epiphany on his way down. I just don't know what to say other than, I give this book 4-pages (think 4-stars). My annoyance at the ignorance of the President won't allow me to give it five. However, Nikki-Michelle most definitely recommends this book.